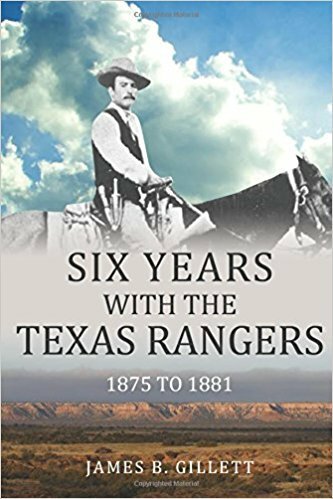 Six Years with the Texas Rangers is a great book about Texas and the Texas Rangers after they were reorganized years after the Civil War. If you are a Texan or love Texan history, check this book out because it is well worth reading. I am sure that James Gillett may be exaggerating the truth in some sections of his memoir, but I did not really care because I was able to learn so much. It is also not that long of a book, but I would have still recommended it if had been three times as long. Gillett did a good job of tell fun stories about his life with the Texas Rangers. It is a little choppy because he covers so much in a short period of time. I think that the characters, which were real people who Gillett knew were so much fun. This book is a great reminder that the Texas Rangers and the West were made up of people just like we know in our lives today.